AS DOES ROHAN MOTIE, THE DRAGON DUEL CHAMPION! El Segundo, Calif. (November 28, 2016) – The Yu-Gi-Oh! 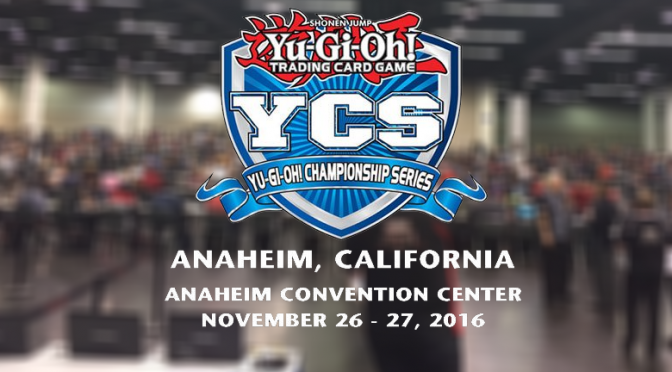 CHAMPIONSHIP SERIES (YCS Anaheim) drew a large post-Thanksgiving crowd to the Anaheim Convention Center this past weekend as hundreds of Yu-Gi-Oh! TRADING CARD GAME (TCG) Duelists gathered to compete at the last YCS of 2016 in the Americas. 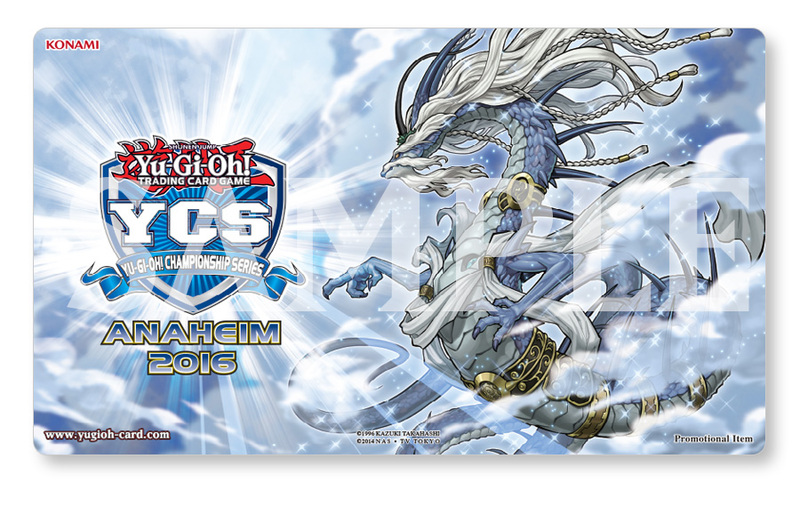 Hosted by Konami Digital Entertainment, Inc. (KONAMI), this premier-level event gives players a chance to show-off their skills and strategies while enjoying great camaraderie with their fellow Duelists. 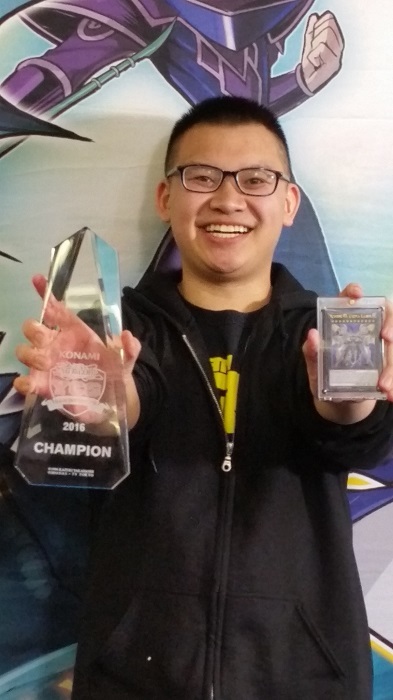 YCS Anaheim earned both Champion Elvis Vu and Dragon Duel Champion Rohan Motie the highly-coveted Championship trophies. At YCS Anaheim, players of every age and ability showed off their expert Dueling skills during the course of the weekend. On Sunday, Vu from San Jose, CA learned that his ABC Deck had not let him down as he had earned a spot in Day 2 of the tournament. Then, after several rounds of Single Elimination, he went head-to-head with Michael John State from Pompano Beach, FL using a Paleozoic Frogs Deck in the final playoff. 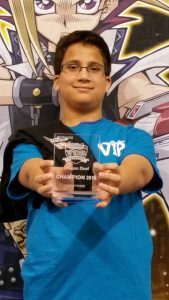 In addition to bringing home the title of YCS Anaheim Champion, Vu received a special set of prizes that included the new YCS prize card, an Ultra Rare Number 93: Utopia Kaiser, a YCS Championship Trophy, the new YCS Top Cut Game Mat, a PlayStation®4 computer entertainment system, and an invitation and paid travel to his 2017 World Championship Qualifier (WCQ) tournament! Over at the YCS Anaheim Dragon Duel (an event for Duelists born in 2004 or later) tables, another exciting series of Duels paired Motie from Altamonte Springs, FL using his Paleozoic Deck against Connor Ruuspakka in the finals. Motie’s skill and strategy proved to be the winning combination as he beat Ruuspakka playing a Paleozoic Frogs Deck to capture the title of Dragon Duel Champion. 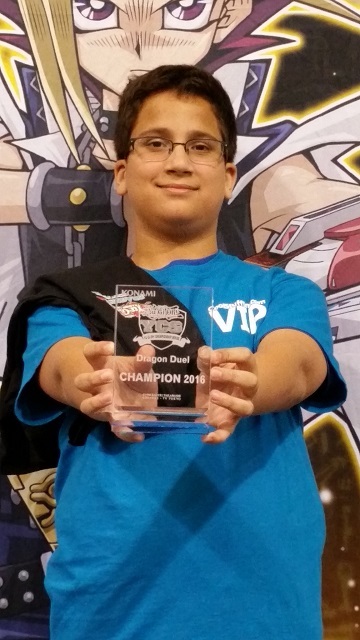 He picked up some great prizes too, including a Dragon Duel Championship Trophy, a Regional Deck Box, a Dragon Duel T-shirt, a 2017 Regional Game Mat, and an invitation to his 2017 Dragon Duel World Championship Qualifier. Duelists can watch a new episode of Yu-Gi-Oh! ARC-V every Sunday on Nicktoons – check local listings for times. In addition, all-new Yu-Gi-Oh! ZEXAL episodes every Tuesday as well as all of Yu-Gi-Oh!, Yu-Gi-Oh! GX, and Yu-Gi-Oh! 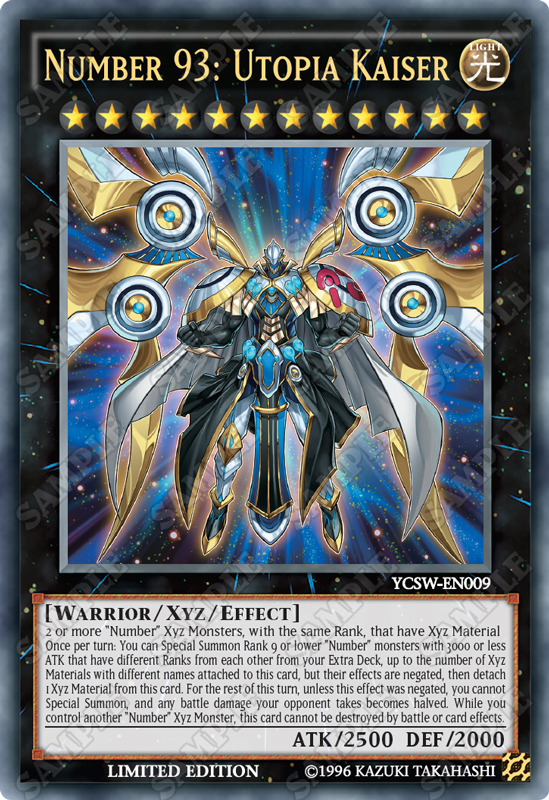 5D’s can be seen on www.yugioh.com in the United States. In Canada, Duelists can watch episodes of Yu-Gi-Oh! ARC-V every Friday and Saturday on Teletoon! For more information on KONAMI or the Yu-Gi-Oh! TRADING CARD GAME, please visit www.yugioh-card.com or call 310-220-8630 to speak directly with a Yu-Gi-Oh! customer support team member.